Strawberry festivals have been a part of spring and summer celebrations marking the transition from the cold and dreary wintertime to a time of renewal, life, and color. Strawberries are the first crop ready for harvest in most temperate regions. When they are ready to be picked, it is a signal that scarcity is about to give way to abundance. And, that is cause to celebrate! There are scores of strawberry festivals, and most have long, storied histories of community involvement, integration of all people into the enjoyment, and fun activities for all ages. Most strawberry festivals center around, of course, the magnificent strawberry and are held in either the month of May or June (although some are held both earlier and later). A typical strawberry festival will include a pageant for children or teenagers (or both), lots of music, events and activities centered around eating strawberry dishes (including strawberry shortcake! ), and a host of other family fun. Depending on the size of the strawberry festival, carnival rides and other games and activities are available. Most strawberry festivals are free to attend. However, none are free to put on. The typical small-town strawberry festival is usually hosted as a fund-raiser for various community groups, often a church or a chamber of commerce, and are funded by vendors and artisans who rent space at the festival in order to offer their crafts and wares to the festival goers. There are also several festivals who charge an admission to cover the cost of administrating the festival and to profit. Each festival is different and offers unique traditions and character. Some are associated with Pick-Your-Own Strawberry Farms, and most can provide a day or a weekend full of excitement! This main Strawberry Festivals page is intended to serve as a directory for every strawberry festival in the U.S.A. The goal is to be as comprehensive and all-inclusive as possible. So, if you are aware of a strawberry festival or other unique strawberry-related event that is not already included in the directory, please let us know about it by using our Submit To Us page. The strawberry festivals are listed below in alphabetical order by state. Under each state’s heading is a list in table form with information about the strawberry festivals. You can sort each table by clicking on the column heading at the top of each column. This should facilitate finding the specific information you need. For example, to find a strawberry festival in a particular county within a particular state, simply click the top of the county column and then scroll down to the county or counties near you. You can quickly find out about how long it will take you to drive to any of the farms by clicking the link in the Map/Directions column. 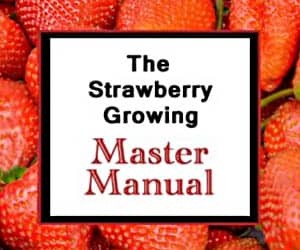 It is very important to always contact or otherwise verify the accuracy of the strawberry festival information on this page BEFORE you leave for a delightful day of strawberry fun. So, while all the information in this directory is intended to help maximize your experience, it is important to make sure everything is correct prior to embarking on your adventure. Be sure to make sure that the admission fee information is correct, that the festival has not changed locations, the hours and availability, and the schedule of events. Baldwin County Strawberry Festival TBA Loxley, AL Get There! Baldwin County click here Events include an antique tractor show, pageant, car show, and other entertainment. Cullman StrawberryFest TBA Cullman, AL Get There! Cullman County Phone: 256-775-7207. Fax: 256-739-9351. Email: jsimms@cullmancity.org. Free Events held at Festhalle Market Platz and include wagon rides, live entertainment, a 5K run, kid's fun area, downtown sidewalk sale and in-store discounts, classic car show, arts and crafts show, food vendors, and other entertainment. Know of any strawberry festivals in Alaska? Tell us about them! PSBC Annual Strawberry Festival see event website for dates. Pine, AZ Get There! Gila County click here Free Pine Strawberry Business Community Strawberry Festival events include food vendors, crafts booths, specialty strawberry treats, activities for kids, and oter entertainment. Previously held in conjunction with the Strawberry Patchers' Quilt Show and Strawberry Valley Blues Festival. Bald Knob Strawberry Festival Early May, 2013 Bald Knob, AR White County click here Events include a strawberry eating contest, a strawberry cake auction, sales of the prized local crop, a carnival, Mr. Bald Knob contest, a parade, live entertainment, crafts show, and other entertainment. HomeFest Festival Early May, 2013 Bald Knob, AR White County click here Events include a strawberry eating contest, a strawberry cake auction, sales of the prized local crop, a carnival, Mr. Bald Knob contest, a parade, live entertainment, crafts show, and other entertainment. California Strawberry Festival May, see event website for dates Oxnard, CA Get There! Ventura County click here $ Events included with paid admission: rides and shows in Strawberryland, exhibits and presentations in the Strawberry Promenade, and other entertainment. A shuttle is available. Garden Grove Strawberry Festival Late May, see event website for dates. Garden Grove, CA Get There! Orange County click here Free Events include a pageant, carnival rides (extra fee), contests, live entertainment, giant strawberry shortcake cutting ceremony, parade, celebrity autograph session, and other entertainment. Placer County Strawberry Festival May, see event website for dates. Roseville, CA Get There! Placer County click here Free, $8/$5 Children 11 and under are free; adults $8; seniors $5. Events include live entertainment, a shortcake eating contest, pageant, a classic car show and other shows, a petting zoo, and other entertainment. Roseville Strawberry Festival Late May, see event website for dates. Roseville, CA Get There! Placer County click here Free, $8/$5 Children 11 and under are free; adults $8; seniors $5. Events include live entertainment, a shortcake eating contest, pageant, a classic car show and other shows, a petting zoo, and other entertainment. Strawberry Music Festival Memorial Day Weekend Jamestown, CA Get There! Tuolumne County click here click here Occurs twice annually, details here. Events include continual live entertainment, workshops, a kid's parade, and more. Strawberry Music Festival Labor Day Weekend Jamestown, CA Get There! Tuolumne County click here click here Occurs twice annually, details here. Events include continual live entertainment, workshops, a kid's parade, and more. Watsonville Strawberry Festival at Monterey Bay August, see event website for dates. Watsonville, CA Get There! Santa Cruz County click here Free Events include delicious food, premier live entertainment, an exciting carnival, gooey strawberry contests, and other entertainment. Strawberry Festival of Arroyo Grande TBA, see event website for dates. Arroyo Grande, CA Get There! San Luis Obispo County click here Free Events include a pageant, live entertainment, the Strawberry Stampede, hundreds of art, craft, and display booths, ethnic foods, scrumptious strawberry treats of all kinds in shortcakes, funnel cakes, milkshakes, ice cream, and by the box, and other entertainment. Yosemite National Park Strawberry festival Memorial Day Weekend Jamestown, CA Get There! Tuolumne County click here click here Same as Strawberry Music Festival, see above. Strawberry Days Festival June, see event website for dates. Glenwood Springs, CO Get There! Garfield County Events include a Miss Strawberry Days Pageant, live entertainment, parade, KidsFest, and other entertainment. Cheshire First Congregational Church Strawberry Festival TBA Cheshire, CT Get There! New Haven County click here Free Usually held annually in June. Old-fashioned festival with fresh strawberry shortcake, lunch, musical entertainment, games, activities for children, pony rides, petting zoo and an antiques and collectibles show. Lyman Orchard's Annual Strawberry Fest June, see event website for dates. Middlefield, CT Get There! Middlesex County click here Free Events include free tastings of strawberry treats, live music, pie eating contests, horsedrawn wagon rides, and more great family fun! Monroe Congregational Church Strawberry Festival TBA Monroe, CT Get There! Fairfield County Phone: 203-268-9327. Email: strawberryfestival@mcc-ucc.org Free Usually held annually in June. Events include crafts and fine arts vendors, childrens' games, bluegrass performances, and other live entertainment. Fifer's Strawberry Festival TBA Camden-Wyoming, DE Get There! Kent County click here Free Usually held annually in late May. Events include live entertainment, Pick-Your-Own Strawberries, hay rides, pony rides, face painting, peach smoothies, a strawberry recipe contest, and other entertainment. Saint Philip's Strawberry Festival Call for Dates and Hours Laurel, Delaware 600 South Central Avenue, Laurel, DE 19945 (302) 875-3644 "We sell scrapple sandwiches for breakfast and chicken salad sandwiches for lunch. Bake table, crafters, vendors, entertainment, something for everyone. we sell locally grown strawberries by the pint or quart along with strawberry desserts." Plant City Florida Strawberry Festival March, see event website for dates. Plant City, FL Get There! Hillsborough County click here Free, $10/$5 Children 5 and under are free; adults $10; youth $5. Discounted tickets are available if purchased early: $8 for adults, $4 for youth. Both free entertainment and paid headline entertainment is available. Jaemor Farms Strawberry Festival April, see event website for dates. Alto, GA Get There! Taylor County Info: 770-869-3999 details click here. Know of any strawberry festivals in Hawaii? Tell us about them! Know of any strawberry festivals in Idaho? Tell us about them! Belleville Strawberry Festival (Eckert's Country Store & Farms) May, see event website for dates. Belleville, IL Get There! St. Clair County click here Free Events include outdoor festival foods and country music at this old-fashioned all-American festival. Free wagon rides. Live music from 12pm-5pm each day. Kid's activities include pony rides, children's play area, petting farm, carnival rides, and inflatables. Strawberry treats in the bakery, custard shop, and restaurant! Fee charged for some activities. Christ Church Cathedral Women's Strawberry Festival June, see event website for dates. Indianapolis, IN Get There! Marion County click here Free Held annually on the second Thursday in June. Crawfordsville Annual Strawberry Festival June, see event website for dates. Crawfordsville, IN Get There! Montgomery County click here Free Events include a car show, tractor show, arts and crafts, numerous athletic events, food court, junior royalty pageant, live entertainment, and much more. Metamora Strawberry Daze TBA Metamora, IN Get There! Franklin County click here Free Usually held annually in early June. Events include strawberry shortcake eating contest, the Strawberry tent where friendly merchants dressed in period clothing are ready to serve you famous strawberry shortcake with ice cream and whipped cream. Kids can enjoy all the games and enter into the strawberry pie eating contest. An eventful 1838 style weekend with merchants dressed in period clothing and various demonstrators. Rosedale Strawberry Festival June, see event website for dates. Rosedale, IN Get There! Parke County click here Free Events include daily free concerts from classic to contemporary; artists, crafters, and merchandisers; classic car, truck, motorcycle, and heap show; model trains and historic displays. Experience the fun of KidZone's no-lose games, adult challenges, rides for the youngsters, teen scavenger hunt, contests, and pageants. Also: a Jonah fish fry, spaghetti supper, Sunday breakfast and devotions, and, of course, a literal ton of scrumptious homemade strawberry shortcakes. Long Grove Iowa Strawberry Festival June, see event website for dates. Long Grove, IA Get There! Scott County click here Free Held annually on the second Sunday in June. Events include the Strawberry Stampede, children's footraces, strawberries, icecream and short cake, a quilt show, kids' games, tractor show, parade, food vendors, strawberry cooking contest, pageant, pony rides, petting zoo, tours of an authentic pioneer sod house, basket raffle, quilt raffle, and other entertainment. Strawberry Point Strawberry Days June, see event website for dates. Strawberry Point, IA Get There! Clayton County click here Free Events include a pet show, kid parade and talent show, pageant, live entertainment, mud run, tractor show, semi truck show, volleyball tournament, and other entertainment. Know of any strawberry festivals in Kansas? Tell us about them! Know of any strawberry festivals in Kentucky? Tell us about them! Ponchatoula Strawberry Festival April, see event website for dates. Ponchatoula, LA Get There! Tangipahoa Parish click here Free Events include a large variety of music, Lil' Farmers Row, where children can enjoy the petting zoo or games by local organizations, ride state of the art rides by Lowery Carnival Co., and a Farmer's Row where you can buy a flat, or six, of the freshest Louisiana strawberries. South Berwick Strawberry Festival June, see event website for dates. South Berwick, ME Get There! York County click here Free The Strawberry Festival is a yearly event filled with entertainment, food, artisans and strawberry shortcakes! Our festival grows every year and manages to keep its small town country flavor boasting 20,000+ visitors each year. The Strawberry Festival is a non-profit event run entirely by volunteers. All profits raised are returned to non-profit groups in the community in the form of grants. Know of any strawberry festivals in Maryland? Tell us about them! Saugus Historical Society Strawberry Festival June 15, 2013 Saugus, MA Get There! Essex County (781) 231-5988 Free On Saturday, June 15, 2013, the Saugus Historical Society Strawberry Festival will be held near the center of town. Strawberry Shortcake is the centerpiece of this decades old annual festival held by the Saugus Historical Society. Shortcake is served 10 AM - 2 PM at the Procopio Legion Hall at 44 Taylor Street, but events spill out onto Main Street at the Roby School Lawn and to the Saugus Historical Society building at 30 Main Street, where there is an exhibit of "The Civil War in Saugus" commemorating the local soldiers who served 150 years ago. In addition to strawberry shortcake, hot dogs and chips and soda will be available. Starting at 8 AM, crafts tables and bric-a-brac will be set up on tables by vendors in front of the town's Administration Building and Roby School, and there will be games for children. Topsfield Historical Society's Strawberry Festival June, see event website for dates. Topsfield, MA Get There! Essex County click here Free A great experience for the entire family! Games, food, shortcake and fine crafters, and a fife and drum march. Addison Township Strawberry Festival July, see event website for dates. Leonard, MI Get There! Oakland County click here Free Held annually on the third Saturday in July. Events include a parade, rides for the children, entertainment all day long, craft show, car show, fire truck rides, and more. Belleville National Strawberry Festival June, see event website for dates. Belleville, MI Get There! Wayne County click here Free Events include a raffle, bingo, food vendors, juried and crafter vendors, beer tent with entertainment, strawberry extravagamza desert in pole barn, pony rides, petting zoo, and other entertainment. St. Andrews Presbyterian Church Strawberry Festival & Craft Fair TBA Ontario, Canada Get There! click here Free This strawberry festival is actually in Ontario, Canada. Events include a barbeque, strawberry shortcake, strawberry crepes, drinks, frozen yogurt and milk shakes, corn on the cob, homemade baked goods, jams and preserves, plants and strawberries, strawberry pies, a flea market, silent auction, crafts and jewellery, church tours, collectibles, entertainment, and a children's area. STRAWBERRIES and ICE CREAM. head over to our website for more information." Know of any strawberry festivals in Minnesota? Tell us about them! Know of any strawberry festivals in Mississippi? Tell us about them! Kimmswick Strawberry Festival June, see event website for dates. Kimmswick, MO Get There! Jefferson County click here Free Held annually on the first full weekend in June. The Strawberry Festival will feature a wide assortment of crafters as well as home and garden vendors. As always there will be an abundance of food and a wide variety of music and activities. It is a great family friendly event. Vaile Mansion Strawberry Festival First Saturday in June Independence, MO Get There! Clay / Jackson Counties Ron Potter: (816) 229-8293 Free There will be approximately 100 craft & antique booths set up on the spacious lawn. Entertainment, food, children's corner, carriage rides, vintage cars, and wonderful Strawberry Treats. Know of any strawberry festivals in Montana? Tell us about them! Know of any strawberry festivals in Nebraska? Tell us about them! Know of any strawberry festivals in Nevada? Tell us about them! FLOW Annual Strawberry Festival TBA Windham, NH Get There! Rockingham County click here Free Events include an opportunity to celebrate community, purchase books, play games, listen to musicians, watch performers, have a bite to eat, enter raffles to win fantastic prizes, and, of course, enjoy delicious homemade strawberry shortcake. Know of any strawberry festivals in New Jersey? Tell us about them! Know of any strawberry festivals in New Mexico? Tell us about them! Benner's Farm Strawberry Fair TBA East Setauket, NY Get There! Suffolk County click here Free Events include picking strawberries, outdoor hay rides, and strawberry treat demonstrations. Mattituck Strawberry Festival June, see event website for dates. Jamesport, NY Get There! Suffolk County click here details Make a day or evening of it. Whether you choose some our farm fresh strawberry delicacies, take a ride on a super roller coaster, shop amongst our arts and crafts or listen to some great music or watch many of the great attractions with the kids, you'll have a good time. Nassau County Strawberry Festival June, see event website for dates. Bellmore, NY Get There! Nassau County click here Free, $2 Children 5 and under are admitted free. Events include plenty of rides, free live entertainment, free parking, fresh strawberries & lots of strawberry concoctions. Owego Strawberry Festival TBA Owego, NY Get There! Tioga County click here Free Events include a block party, strawberry pie contest, pooches on parade, and other entertainment. North Carolina Strawberry Festival May, see event website for dates. Chadbourn, NC Get There! Columbus County click here Free Events include a pageant, lots of strawberries, and multiple other events. Vanceboro Strawberry Festival & Rescue Day April, see event website for dates. Vanceboro, NC Get There! Craven County click here Free Events include a womanless beauty pageant on Friday night at the school auditorium, live entertainment, vendors, a parade, and, of course, BBQ PLATES. Know of any strawberry festivals in North Dakota? Tell us about them! Bolivar Strawberry Festival June, see event website for dates. Bolivar, OH Get There! Tuscarawas County click here Free Held annually on Fathers Day weekend in June. Events include the Queen's contest and the Strawberry eating contest, a Ribs burn off and chicken barbecue, lots of yummy strawberry treats, different types of food and activities, rides, entertainment, a brew tent, and crafters. Holland-Springfield Strawberry Festival TBA Holland, OH Get There! Lucas County click here Free Events include a baseball tournament, queen pageant, toddler pageant, rollie run, bake off, parade, raffle, and other events. London Ohio Strawberry Festival June, see event website for dates. London, OH Get There! Madison County click here Free Events include a strawberry shortcake tent, free nightly entertainment, rides and games, a queens' parade, Cobra Car Show benefiting Cystic Fibrosis, a kiddie tractor pull, kid games, and more entertainment. Strawberry Fest at Mapleside Farms TBA Brunswick, OH Get There! Medina County click here Free Events include vendors and foods like apple butter barbeque ribs, sausage sandwiches, hamburgers, hot dogs, homegrown strawberries and ice cream, strawberry shortcake, and strawberry pie. Stilwell Strawberry Festival April, see event website for dates. Stilwell, OK Get There! Adair County click here Free Voted Oklahoma's best festival in 2003. Events include a pageant and, of course, strawberries. Lebanon Annual Strawberry Festival June, see event website for dates. Lebanon, OR Get There! Linn County click here Free Events include a karaoke competition, jazz, grand parade, junior parade, world's largest shortcake, royalty court, a run/walk, and other events and entertainment. Strawberry Festival at French Prairie Gardens June, see event website for dates. St. Paul, MN Get There! Ramsey County click here $4 Held annually over Fathers Day weekend in June. Price of strawberries is not included in the admission price. French Prairie is a private farm. Begins with the Berries, Brews, and BBQs party and includes events such as U-Pick strawberries, haybrides, animal barn, farm animals, obstacle course chicken coop with observtion window, pig barrel train rides, 20-foot tube slide, Tonka truck toddler, a play area, homemade strawberry pie, fresh strawberry shortcake, pulled pork sandwiches, pork sausages, and more! Brandywine Strawberry Festival June, see event website for dates. Coatesville, PA Get There! Chester County click here Free Strawberry festival benefits the Brandywine Health Foundation and is a family oriented four-day event, which has grown significantly in size and stature, and now attracts over 25,000 visitors with wholesome fun, activities, entertainment, food, shopping and more. Linvilla Orchard Strawberry Festival June, see event website for dates. Media, PA Get There! Delaware County click here Free If rainy the rain date will be the next day (Sunday). Events include a day jam-packed with plenty to do, the Delaware Valley's largest Stawberry Shortcake, for kids there are appearances by costumed characters, real pony rides, and face painting, acres of strawberries to pick hayrides through our beautiful fields and orchards, games & contests, music, ice cream sundaes, and the Linvilla Grill. Peddler's Village Strawberry Festival April, see event website for dates. Lahaska, PA Get There! Bucks County click here Free Juried Artisans show their wares and demonstrate their skills at the Street Road Green Artisan Area. Strawberries are served up in various forms: dipped in chocolate, in assorted pastries and shortcake, jams, fritters and fresh and unadorned. Live entertainment and pie-eating contests add to the festivities of this traditional Spring celebration. Soergel Orchards Strawberry Festival TBA Wexford, PA Get There! Allegheny County click here Free Held annually in early June. All your favorite Strawberry desserts and a few new ones! Take a hayride to the strawberry patch to pick your own! The air is filled with the smell of hot dogs on the grill while a dj plays music. Lots of kid's activities as well as our everyday play opportunities! Trax Farm Strawberry Festival June, see event website for dates. Finleyville, PA Get There! Washington County click here Free ll three days are filled with delicious strawberry treats, children's activities, (Pony Rides, Petting Zoo & Boomerang Entertainment) and much more! Smith's Castle Strawberry Festival June, see event website for dates. North Kingstown, RI Get There! Washington County click here Free An admission of $6.00 for adults and $2.00 for children 612 is charged to tour the house. There is no fee to visit the gardens and grounds. Children under 6 and members are admitted FREE. If rainy the rain date will be the next day (Sunday). Savor Smith's Castle's celebrated strawberry shortcake and pay homage to the humble wild strawberry - a favorite of the early colonists and the native Narragansett. Enjoy a day filled with fun family entertainment. South Carolina Strawberry Festival May, see event website for dates. Fort Mill, SC Get There! York County click here Free Events include a golf tournament, pageant, and two full days of festival activities! Lowcountry Strawberry Festival April, see event website for dates. Mt. Pleasant, SC Get There! Charleston County click here details Events include amusement rides and games, juggling, face painting, and more musical performers than ever before. The popular Pie Eating and Recipe Contests return, with winners walking away with some great prizes. Mead Hall Annual Strawberry Festival May, see event website for dates. Aiken, SC Get There! Aiken County click here Free The Mead Hall Strawberry Festival is day of fun for the whole family. There are games, entertainment, a bakesale, barbeque sandwiches, and plenty of fresh strawberries. This is the PTO's primary fundraising event, with proceeds going to PTO-sponsored activities and programs. McLeod Farms Strawberry Festival TBA McBee, SC Get There! Chesterfield County click here Free Held annually in May. Events include field tours, museum tours, face painting, family fun, ice cream, games, recipe & art contests, local entertainment, and horse & wagon rides. Know of any strawberry festivals in South Dakota? Tell us about them! Tenessee Strawberry Festival see event website for dates. Dayton, TN Get There! Rhea County click here Free The Tennessee Strawberry Festival is the celebration of small town life. It offers a chance for our community to showcase its beauty, history and commitment to family values. It is the goal of the Dayton Chamber of Commerce and the businesses it represents to acknowledge the community support and patronage we receive throughout the year. Middle Tennessee Strawberry Festival May, see event website for dates. Portland, TN Get There! Sumner County click here Free Events include strawberry pageants, mother-daughter tea party for a cure, Monday Merchant Scavenger Hunt, Chamber of Commerce golf tournament, recipe contest, dancing and music on the street, choir night, story hour, pancake breakfast, Strawberry Stride Run, kids' games, strawberry eating contest, and other entertainment. West Tennessee Strawberry Festival May, see event website for dates. Humboldt, TN Get There! Gibson County click here Free This event is still held each year on the first full week in May bringing over 100,000 visitors annually to the city for parades, beauty reviews, horse shows, BBQ Contests, and other events. Pasdena Strawberry Festival May, see event website for dates. Pasadena, TX Get There! Harris County click here See website for details. The largest event in Pasadena, home of the World's Largest Strawberry Shortcake, Mud Volleyball, Carnival, BBQ cook off, specialty acts, Main Stage Entertainers, arts & crafts proceeds fund scholarships and TX history projects. Poteet Strawberry Festival April, see event website for dates. Poteet, TX Get There! Atascosa County click here details Held annually in April. The festival has fourteen areas of continuous entertainment featuring concerts with nationally known Country Western and Tejano stars, gunslingers, clowns, puppets, regional bands, various contests, and rodeo performances. There is something for the whole family. Pleasant Grove City Strawberry Days Festival June, see event website for dates. Pleasant Grove, UT Get There! Utah County click here Free Events include Guns & Hoses 5K, children's art contest, children's parade, tennis and volleyball tournaments, concerts, a pageant, and other entertainment. Know of any strawberry festivals in Vermont? Tell us about them! Ashland Strawberry Festival June, see event website for dates. Ashland, VA Get There! Hanover County 804-798-8289 Free A traditional celebration to promote the community and feature the strawberry harvest. The Faire is usually the first Saturday in June. It is held on the streets adjacent to the Randolph Macon College campus. The Faire is a free community, family-oriented event during which non-profit groups and churches raise funds and offer something for everyone. There are vendors offering arts, crafts, plants, and antiques to the many thousands who attend the event. Community School's Annual Strawberry Festival May, see event website for dates. Roanoke, VA Get There! Roanoke County click here Free Events include delicious strawberry desserts, arts and craft vendors, children's activities, and live entertainment at the Elmwood Park amphitheater. General admission to the Festival is free, but patrons are encouraged to purchase homemade strawberry shortcake, strawberry sundaes, chocolate-dipped strawberries, strawberry slushies, or strawberries and cream. Delaplane Strawberry Festival TBA Delaplane, VA Get There! Fauquier County click here details Events include entertainment for all tastes (bluegrass, zydeco, choral, bagpipe, magicians, and more! ), hayrides, hiking on the Appalachian Trail, 4H petting zoo and pony rides, 5K fun run, field games for kids, funnel cakes, crabcakes, strawberry shortcake, local crafters, flats or pints of fresh, restaurant-grade strawberries, and more! Scott's Strawberry Festival TBA Moneta, VA Get There! Bedford County click here Free Held annually on Memorial Day weekend. Events include many vendors for shopping, pony rides for children, live music, dancing, food, homemade strawberry ice cream & strawberry shortcake. Stuart Strawberry Festival May, see event website for dates. Stuart, VA Get There! Patrick County click here Free Events include artists, crafts, antiques, music, and other entertainment. Berry Dairy Days June, see event website for dates. Burlington, WA Get There! Skagit County click here Free Events include fresh local strawberry shortcake, a spectacular fireworks show, fabulous parades, Kiwanis Salmon BBQ, an entertainment stage with live music, nostalgic Berry Cool Car Show and more! Burien Wild Strawberry Festival & Heritage Fair June, see event website for dates. Burien, WA Get There! King County click here Free Events include the B-Town Bike Fair, family and kid-friendly activities, Rat City Rummage artists & demonstrations, Kiwanis pancake breakfast, 5K & 1K Wild Strawberry Run, Father's Day car show and chili cookoff, Market Place Vendors, and other entertainment. Marysville Strawberry Festival June, see event website for dates. Marysville, WA Get There! Snohomish County click here Free Events include a berry run, parade, lots of strawberries and shortcake, and other entertainment. Vashon Island Strawberry Festival July, see event website for dates. Vashon Island, WA Get There! King County click here Free Events include the Saturday Night Street Dances, the Traditional Grand Parade, Beer Garden, Wine and Jazz Fusion, the Classic Car Parade, Vashon Artists in Ober Park, Kid's Carnival, Kiwanis Pancake Breakfast, Bill Burby Fun Run, The Fireman's Water Challenge, Music, Music and MORE! West Virginia Strawberry Festival May, see event website for dates. Buckhannon, WV Get There! Upshur County click here Free Children and adults alike will enjoy the fun and thrills of the carnival. Take a stroll through the arts and craft exhibits, quilt show, photography show, or the souvenir shop. Enjoy the variety of Jaw Bone Park and Courthouse entertainment or stop by the band competition, car show, strawberry auction, or your favorite sporting event. You won't want to miss the huge block parties of entertainment on Main Street on Friday and Saturday nights. Colonial Club StrawberryFest June, see event website for dates. Sun Prairie, WI Get There! Dane County click here Free This one day fundraiser offers the best berries in the prairie, plus a 5K/10 K Run & Walk, Indoor/Outdoor Craft Fair, Strawberryland Children's Carnival, Used Book Sale, Raffles & Drawings, Strawberry Wine Tasting, Breakfast, Lunch and so much more! Know of any strawberry festivals in Wyoming? Tell us about them! A strawberry fest can be fun for all ages. So, after you have located an event near you and adequately prepared, go enjoy some strawberries! If you time it right and don’t mind to travel a bit, you can hit a different strawberry festival every weekend for weeks on end!